Precognition refers to the apparent ability to predict future events. While anecdotal claims of prophecy, and of premonitions, have been made throughout history, scientific investigations into the phenomenon are relatively recent. In the 1930s, J.B. Rhine's pioneered the testing of extrasensory perception (telepathy and clairvoyance) using card guessing procedures. 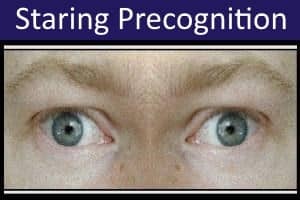 To test telepathy, one person (the sender) viewed a randomly selected card while a second person (the receiver) would try to guess the symbol. In clairvoyance tests, no sender was used and the receiver would simply try to guess cards that were selected but not viewed. The card-guessing methodology also lends itself to testing for precognition. In this case, the receiver guesses the card before it has been selected or viewed. Recently, parapsychologists have explored the possibility that precognitive ability may be largely unconscious. 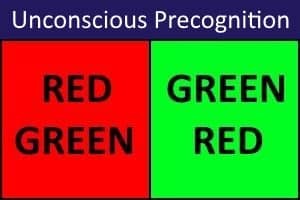 To test for unconscious precognition, unconscious reponses are recorded rather than asking the receiver to make conscious choices. The tests shown below allow you to explore both conscious and unconscious precognition. 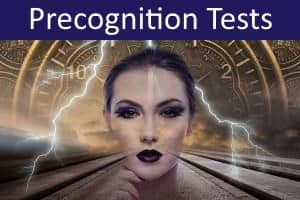 If you do well on these tests, you should definitely try our precognition championship! 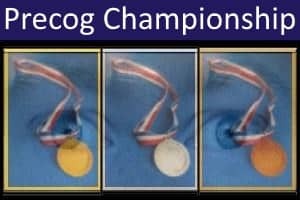 Try to beat our top scores to become a precognition champion! 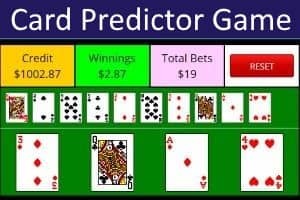 Predict the cards to win!